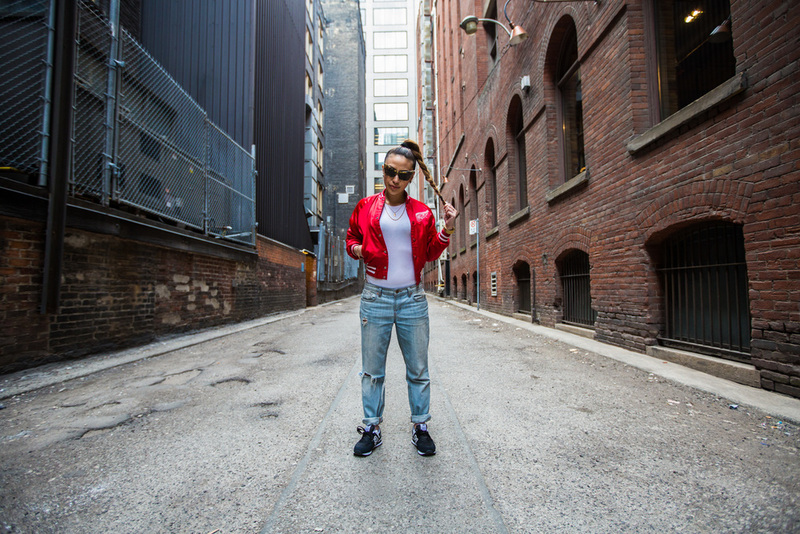 For the last six months, Toronto based photographer and videographer by the name of Imad, has been working on a project called, PIQUE, where he profiles 100 Toronto artists of all ages by giving them under 15 seconds to showcase their talents. Honorably, I was chosen to be apart of one out of the 100 profiled and featured individuals. Although I am not an artist per se, I am a creative minded young woman who wears various hats in the city - from a freelance journalist, to a stylist and from a blogger, social media guru, and now a commercial model; I can't seem to stick to just one thing. In short, I am a contributor to various creative outlets and I love connecting and meeting with interesting, motivating, creative and positive individuals. As part of this project, photos and a mini-bio is also included to give the public a sneak peek (pique!) of the artists and creators. All footage for each creative individual was shot and edited within a day. Through this project, you will meet 100 inspiring young Toronto artists in less than 25 minutes of footage. Keep posted on my upcoming video.